A fetching bouquet in pretty pinks and lilacs. 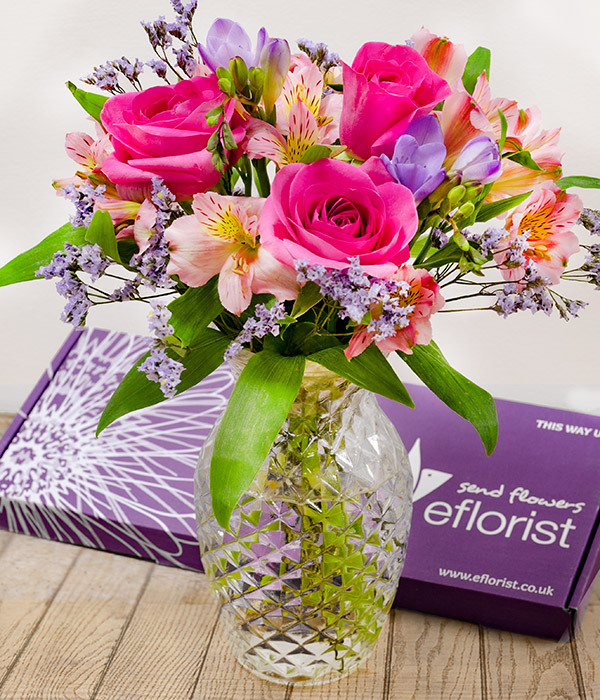 Exquisite roses, fragrant freesia, alstroemeria, and limonium are carefully selected and packed by hand in specially designed packaging that fits through the letterbox. 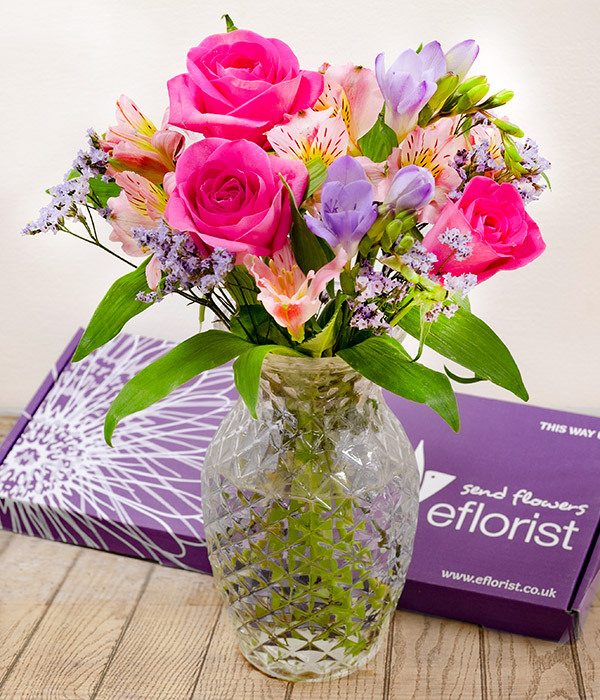 All ready for the lucky recipient to arrange and enjoy at home.